While there is nothing wrong with your dog having an occasional scratch, persistent scratching is often a symptom of severe itchy skin. You should also be on the lookout for excessive grooming or moulting, a smelly/greasy coat and dry and flaky skin. There could be any number of reasons why your dog’s skin is itching, sometimes it’s an issue on the skin itself, but other times it may not be as obvious as that. While we wholeheartedly recommend taking your dog to the vet wherever you notice any health issues, it’s useful to understand what’s causing the problem so you can more easily help your dog ditch that itch. Here are the most common reasons of itchy skin in dogs and how to eliminate them. Sometimes, the simplest answer is the correct one. Fleas are a common source of itchy skin that can lead to hair loss, scabs and inflamed skin if left untreated. Check your dog’s skin and coat for fleas, but keep in mind that just because you don’t see them doesn’t mean they’re not there. If you notice any black powder or lumps that look like dirt, put some on a paper towel and add a few drops of water on them. If they turn red, that means it’s not dirt at all, but rather flea feces. To successfully get rid of fleas, first give your dog a bath with anti-flea shampoo and make sure to repeat the process after 2-3 weeks to kill off any newly hatched fleas. Then you will need to exterminate the fleas in your house by thoroughly vacuuming all floors, carpets and upholstery and using any kind of flea control substance that contains an insect growth regulator (IGR) that prevents any leftover flea eggs from hatching. Your dog can also be allergic to fleas in which case your vet will need to prescribe injections to ease the itching while you eliminate the fleas. Speaking of allergies, dogs can suffer from hayfever just like their owners, only their symptoms manifest as itchy skin and watery eyes rather than respiratory problems. While it’s almost impossible to completely avoid exposure to pollen, you might want to keep your pooch inside during those critical few weeks to reduce the severity of the itching. Most allergies can be controlled by improving the dog’s diet and enriching it with ocean fish that contains omega-3 fatty acids. However, in more severe cases you will need to consult the vet who will provide medication to relieve your dog’s symptoms. Food intolerance will often manifest on the skin and coat rather than as digestive problems. Low-quality pet food has a lot of processed grains which are bad for dogs, so always make sure to use natural, minimally processed, preservative and grain-free food. Some dogs are naturally more sensitive and it is recommended to use foods with less common meat proteins (such as venison and kangaroo), like Ivory Coat dog food that has a range of pet foods specifically for sensitive dogs. 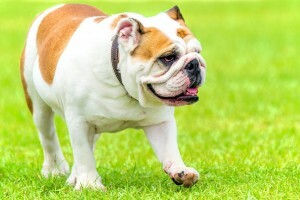 Not all breeds are the same and some are more prone to skin and coat problems, such as Bulldogs, Shar-Peis, Golden Retrievers, Doberman Pinschers and more. While there is nothing you can do about your dog’s breed, you can modify their diet and take extra care to minimize the risks of developing skin and coat issues. Additionally, if you are looking to get a new dog, make sure to get a breed whose potential health issues you will be able to handle. Strongly perfumed shampoos or cleaning products can lead to an itchy skin so it is important to only use products meant for canine use. 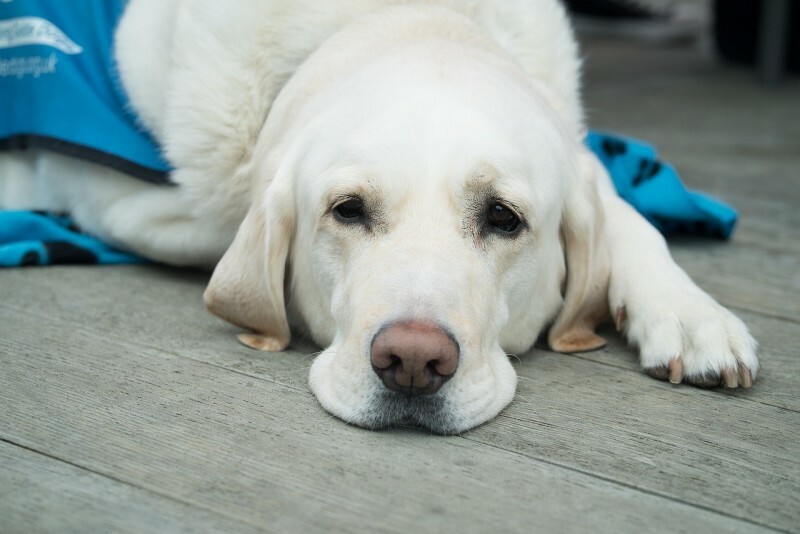 For example, don’t make your dog’s bed out of some old dusty blankets you found in the garage or use scented detergent or softener for anything your pooch may come in contact with on a regular basis, such as carpets, bedding, upholstery etc. Bacterial or fungal (yeast) skin infections will cause skin and coat related symptoms ranging from mild itching to severe redness and open sores. Bacterial infections are most often secondary infections caused by the dog’s constant scratching breaking the skin causing bacteria to grow in the open wound. Yeast infections cause itchy ears and paws, but the telltale sign is usually a pungent smell coming from the dog’s coat even after a bath. The biggest risk factor for both types is humidity as these infections thrive in warm and moist conditions, such as in dogs who enjoy swimming or spend a lot of time playing in muddy fields. It is imperative to see a vet as soon as you suspect your dog may have a skin infection, as untreated infections can lead to more severe and potentially life-threatening conditions. However, if caught in time, treatment is pretty simple and consists of regularly using shampoo with antibacterial or anti fungal properties.